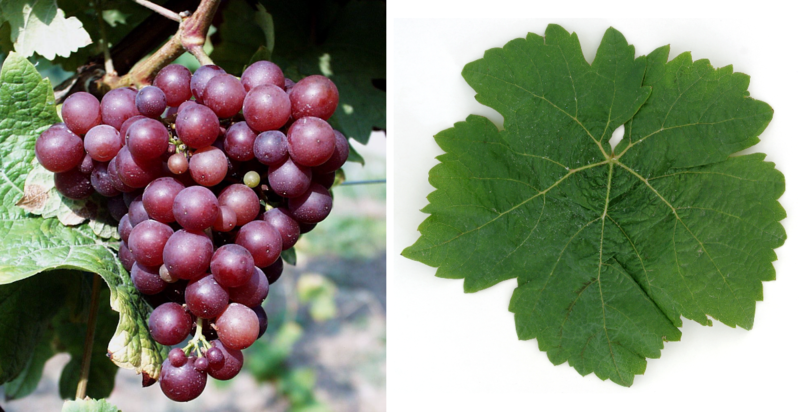 The white grape variety is a new breed between Madeleine Angevine x red Traminer ( Gewurztraminer ), which was released in 2012 DNA analysis was confirmed. Heinz Scheu (son of the breeder) claimed later in a book that the variety from a openly dimmed Madeleine Angevine was created. Synonyms are Alzey 7957, Scheu 7957 and Sieger. The crossing took place in 1929 by Georg Shy (1879-1949) at the State Institute for Vine Breeding in Alzey-Rhineland-Palatinate. The variety protection was granted in 1958. The variety was crossing partner in the new breeds Augusta Luise. Hildegardis grape. Muscabona. Ortega. Rosetta. Sissi. Tamara and Thekla, The early ripening vine has sugar-rich, but low-acid berries. She brings golden yellow, alcohol-rich white wines nutmeg, In Germany occupies 102 hectares of vineyards with a strong downward trend. There are more stocks in Australia. England (12 ha), Canada (18 ha), in the Switzerland and in the US state Washington, In 2010, a total of 132 hectares of vineyards were reported. This page was last modified at 4 January 2019 at 09:50.